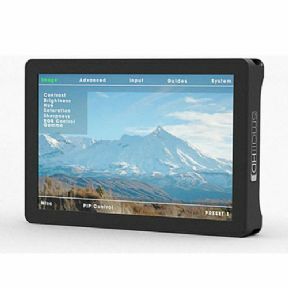 of the most accurate in-monitor focus assist filters on the market: “Focus Assist Plus”. “Focus Assist Max” for those situations where you might otherwise be struggling to see details. already extremely accurate focus tool: “Focus Assist Plus”. to a ‘Zebra’ filter but working for dark tones as well. available are Crosshair, Crosshatch, Aspect, and Title guides. Most Canon and Nikon DSLR’s output signals do not fill a monitor’s screen completely. more detail than when the image is scaled to fit the screen. for a very fine look at the details of your image. 2:35 aspect ratio for a 16:9 input (pictured). in monochrome, you can avoid surprises in the edit bay. - DP1, DP1x, DP4, DP4-EVF, DP6 Series and AC7 Series Monitors. -Gold Mount Anton Bauer Battery plate for all AC7 Monitors. -Use your Panasonic camera batteries to power the AC7. Use your Sony Handycam NP-FV style batteries to power the AC7. -Allows Marshall battery plates/brackets to be used with AC7 monitors. -AC7-OLED, AC7-OLED-SDI and DP7-PRO monitors (6 ft.). Hirose to 4-Pin XLR Locking Power Cable for AC7-OLED, AC7-OLED-SDI and DP7-PRO monitors. 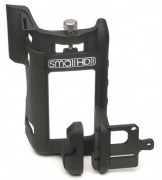 Neoprene Sleeve to fit SmallHD Batteries to an AC7 Series Battery Plate. Transparent Finish Flexible "Stick-On" Scrtatch Protector for AC7 OLED and DP7-PRO OLED Field Monitors. (2-pack). Is NOT compatible with the AC7-LCD and AC7-LCD-SDI. All OLED monitors ship with an impact resistant Gorilla Glass screen surface. -Lightweight Canon 5d MKII HDMI Port Lock/Protector -Provides both signal integrity and protection for the delicate Mini-HDMI port.